A driver has been seriously hurt in a car crash in mid Wales. 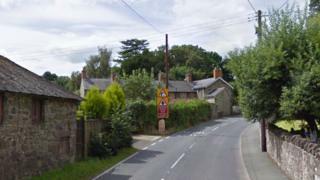 Dyfed-Powys Police said a white Vauxhall Corsa crashed on A490 at the turning for Bwlch y Cibau near Welshpool just after 02:00 BST on Sunday. Three female passengers sustained minor injuries and were also taken to hospital. The road was closed but has now since re-opened. Anyone who witnessed the crash has been asked to contact police.